The facelift is one of the oldest operations in cosmetic surgery and considered the Rolls-Royce of all cosmetic interventions. After a face lift, the face should appear younger and fresher. The operation will therefore counteract the aging process. In experienced hands, modern techniques allow for targeted correction of problem areas which achieve very natural results. The dreaded loss of facial expressions and contorted mouth, with proper implementation, are no longer an issue these days. 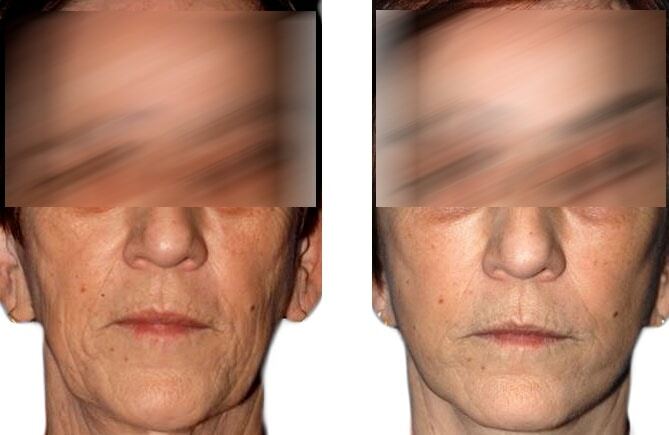 As age relaxes the tissue structures, the face starts to sag due to gravity. 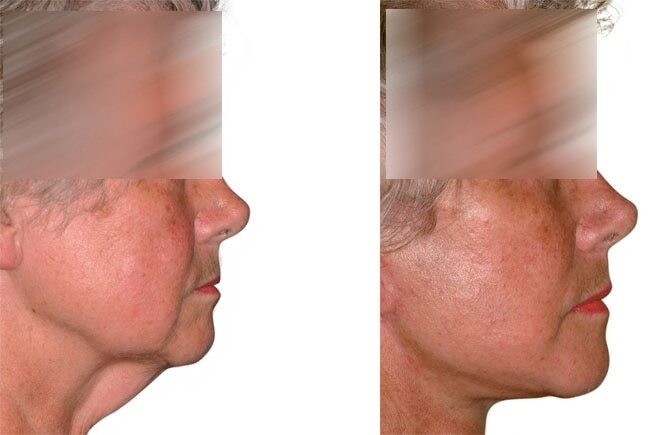 Furthermore, relaxation of the skin folds and reduction of the subcutaneous fat causes the face to lose volume. Each of these four regions ages differently in each individual. We all know that hamster cheeks differ strongly in people of the same age, similarly in one and the same face we can see very different degrees of aging in different regions. 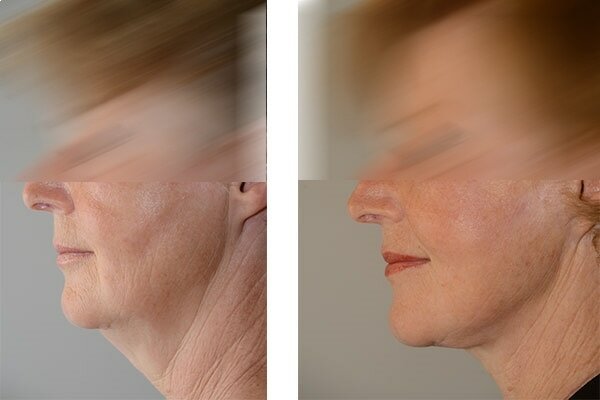 There may be a clear double chin, while in the cheek area are no wrinkles. 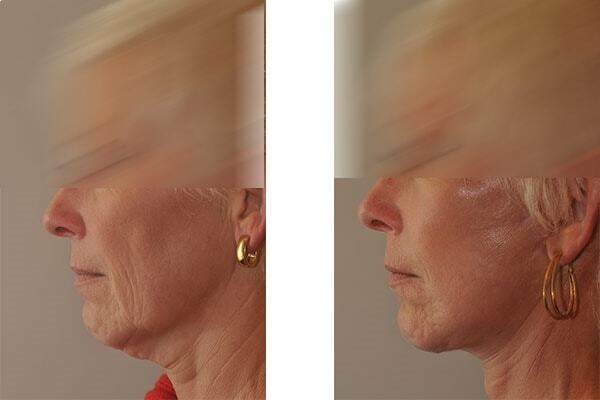 This shows the importance of accurate analysis of the problem when planning a facelift. 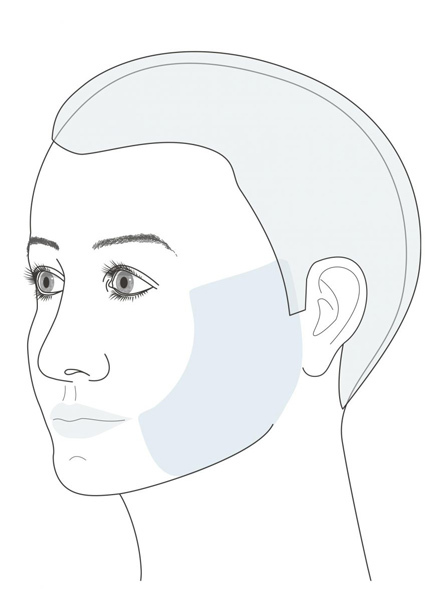 All four face regions must be regarded as distinct and separate parts of the face to be corrected. For each of these regions there are many techniques which differ in efficiency and extent. The forehead lift is used to remove wrinkles on the forehead and raise the eyebrows. It is an effective method to eliminate the “sad” expression. In particular the position of the eyebrows strongly influences the facial expression. 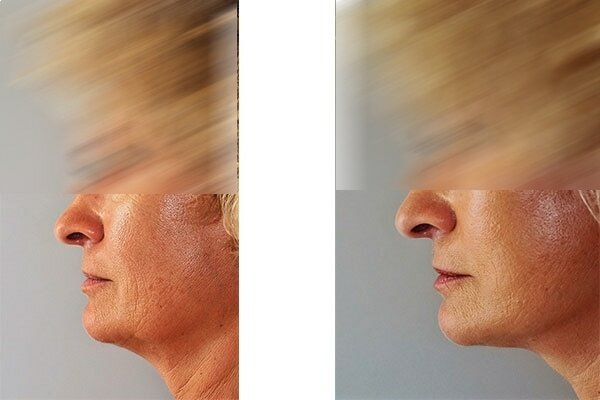 A successful forehead lift can achieve as much as a successful cheek lift. 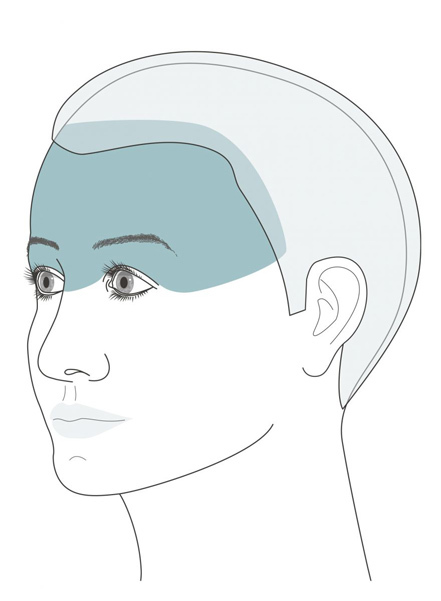 The height of the forehead is essential in the choice of the forehead lift method. 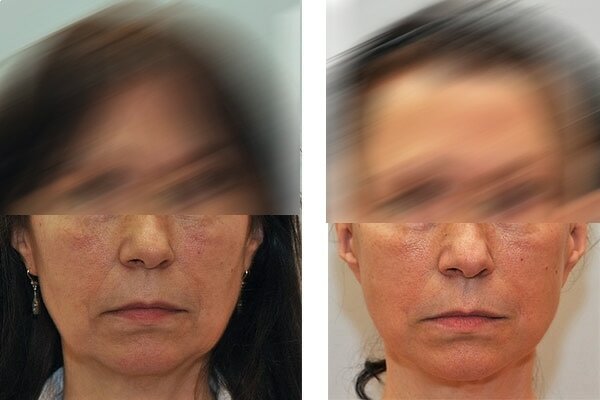 If you are interested in a forehead lift and have a low forehead, the coronal forehead lift would be suitable. In this method, the incision is curved within the scalp. 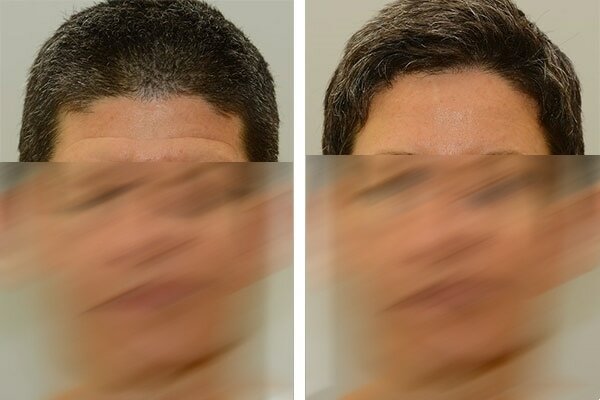 In addition to the elimination of forehead wrinkles and raising the eyebrows, this intervention leads to an increase in the (forehead) hairline. If you have a high forehead, the pretrichial forehead lift would be suitable. In this method, the incision is made along the frontal hair line. In addition to the elimination of forehead wrinkles and raising the eyebrows, this intervention leads to a lower hairline (forehead). During an endoscopic forehead lift, no excess skin is removed thus resulting in almost no scarring. However it is significantly less efficient than the coronal or subcutaneous forehead lift. 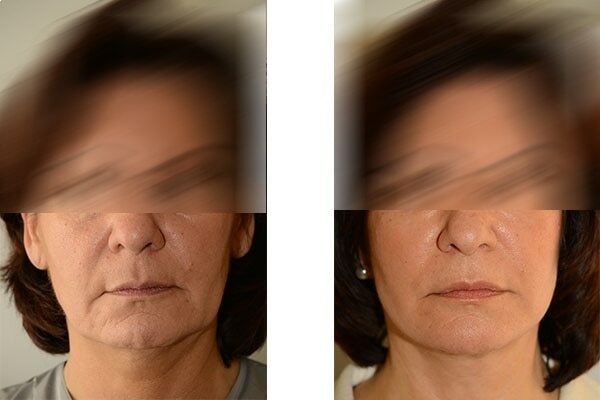 The mid-face lift is used to correct the region that extends from the lower margin of the eye socket to the sides of the mouth. 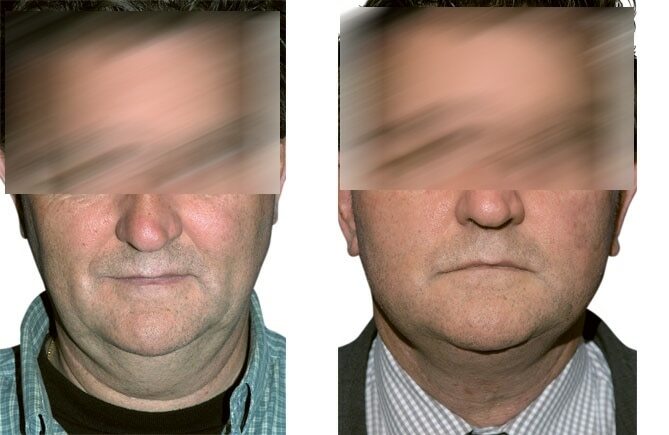 This area often ages faster than other facial regions. 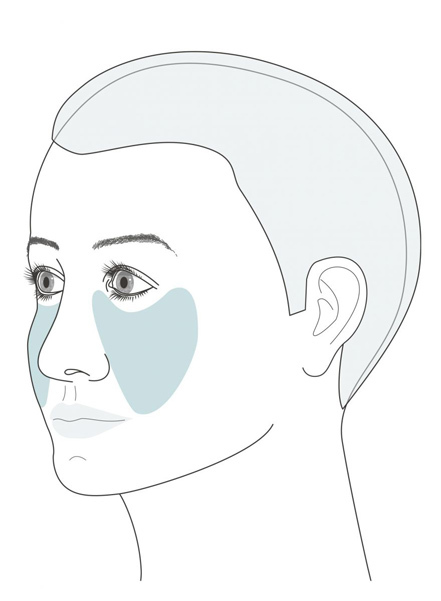 Due to volume loss and the relaxation of the tissue in the mid-face region, the formation of dark circles occurs which leads to a flattening of the zygomatic region and an emphasis on the nasolabial folds. Let us not discourage the use of technical terms. The choice of technique depends on the anatomical conditions, i.e. which of the three problem areas (dark circles, malar region (cheek), nasolabial folds) is in the foreground. If there are marked dark circles present, the upper layer of tissue needs to be raised. This works best with the MACS technique. 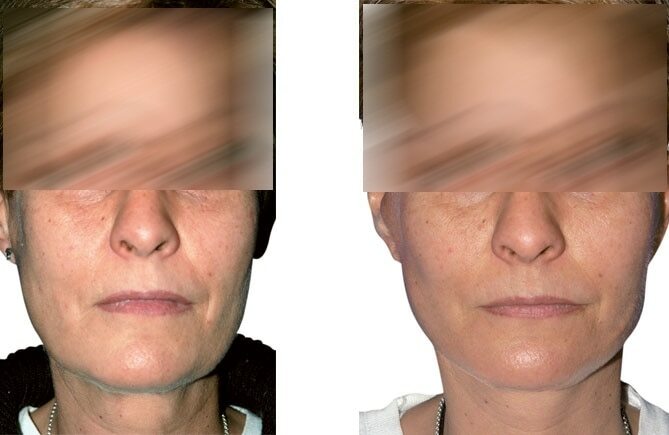 Simultaneously, the nasolabial folds can be effectively corrected. If the zygomatic region is flattened, volume must be added. In this case, the subperiosteal technique is appropriate. 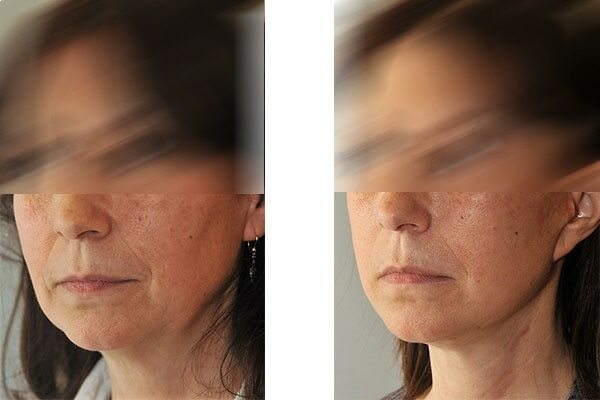 For the correction of nasolabial folds, this method is less suitable. 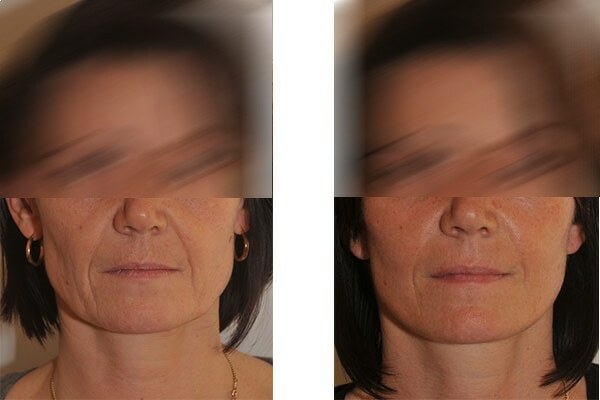 The third technique is not an independent method and can only be used as a complement to a cheek lift. 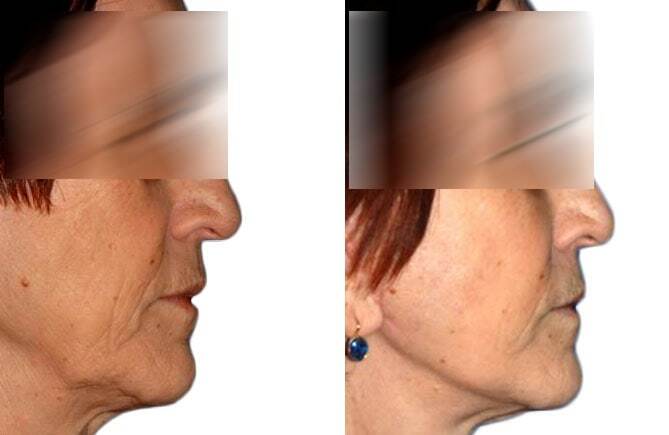 If, in addition to a sunken mid-face, chubby cheeks and wrinkles are present in the cheek area, by extending the technology used here (SMAS-flap) this can also be corrected with the mid-face lift. 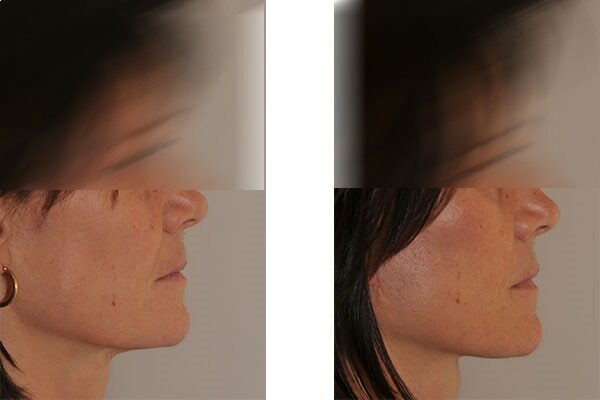 The cheek lift is frequently carried out on all cosmetic surgery of the face and has the largest range of different techniques. 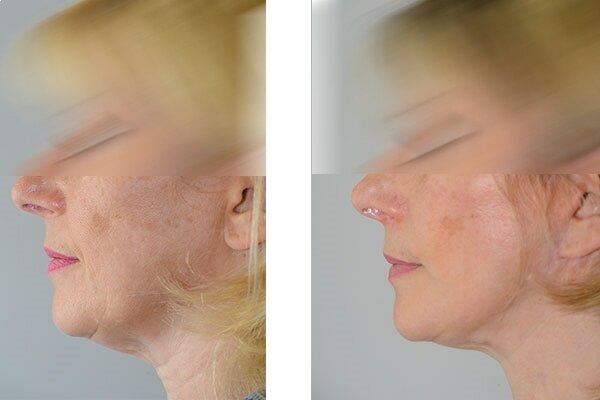 The cheek lift can correct chubby cheeks and add fullness to a laterally flattened malar region, but cannot correct nasal folds nor dark circles and puffiness. The classic of the available methods is the cheek lifting with the SMAS flap. 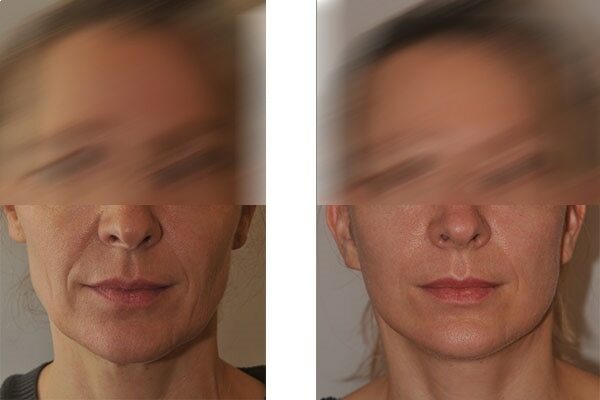 At the same time this is also the most effective technique to correct chubby cheeks and wrinkles in the long term. It is a two-layer method in which one tightens the SMAS, the cheek skin is then softly and gently stretched out after removal of the excess skin. This dreaded unnaturalness is avoided. In addition to this method, there are a whole range of techniques that require less effort, but which are also far less effective. These include so-called “modern” methods, which are often advertised in newspapers and magazines and imply the supposed advantage of faster healing and less recovery time. These types of interventions are more appropriate for relatively young patients with relatively little need. To offer a mini-lifting to a 60 year-old patient with age related problem zones is not only unreasonable but also irresponsible. 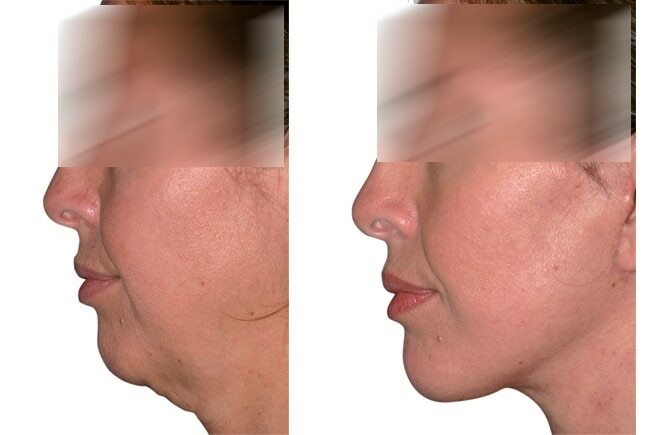 The cheek lift can be extended with little effort to a limited neck-lift. 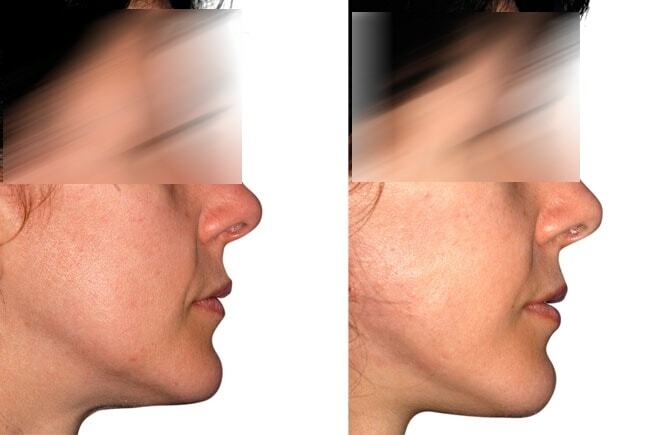 The tightening of the neck is combined in most cases with a cheek lift, but can also be done alone. 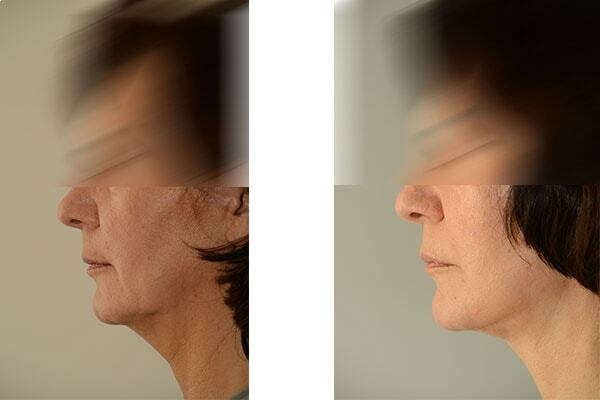 The neck-lift by only removing the skin behind the ear is outdated and of limited effectiveness. The standard method is to streamline the platysmas sideways with the SMAS technique. 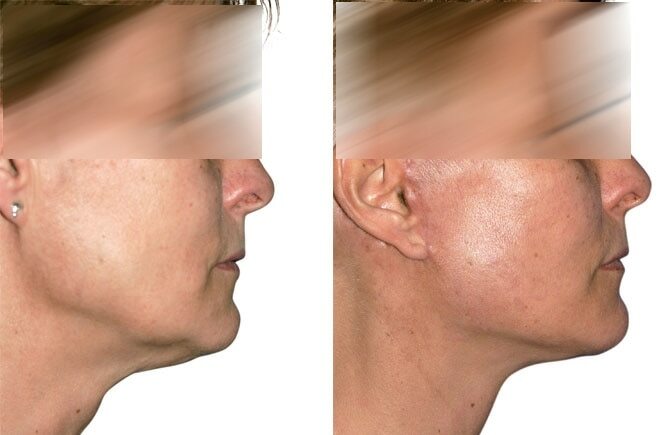 The platysma is a superficial, straight neck muscle, which merges into the side of the SMAS and causes the relaxation and the formation of a double chin. The most effective method by far is the corset-operation by Feldman. By unifying the two Platysma halves, a new ribbon-like anatomical structure is created with which the neck can be moved inward and upward. As can be seen in the profile, the neck is again smooth and firm. There is no clear answer. Everyone ages differently so there is no common age for this procedure. Depending on how much one suffers from the age-related problem, a procedure may be relevant already with 45 or only with 60. The job of a reputable physician is to educate people seeking advice about what is medically appropriate and feasible. 2. 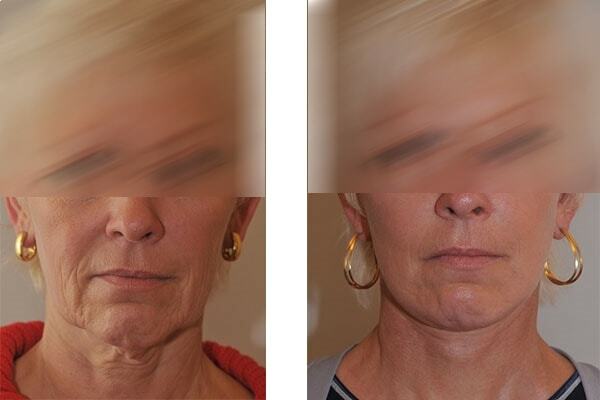 How long does the effect of a facelift last? 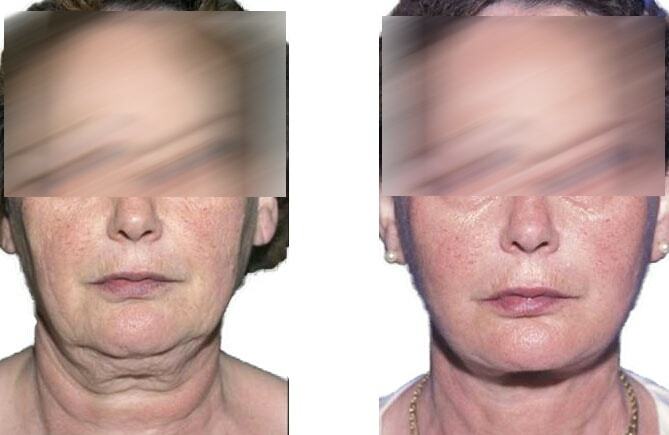 As sucessful facelift will make you look younger for about 10 years. 3. 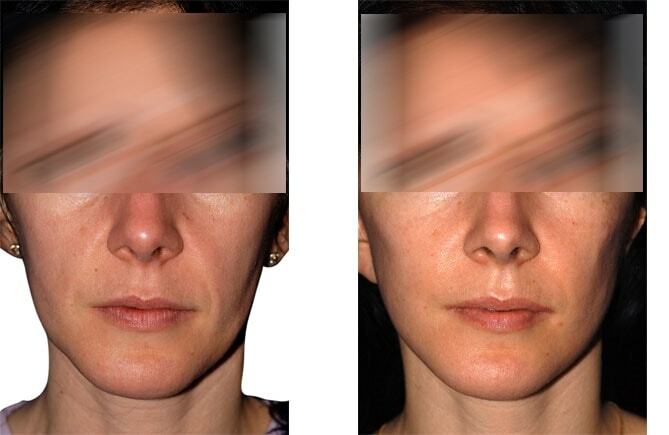 Is facial expression restricted by a face lift? When performed correctly, there is no risk of facial expression loss. The prerequisite is that not the skin is tightened but the underlying fascia, the SMAS. 4. How often can a face lift be performed? 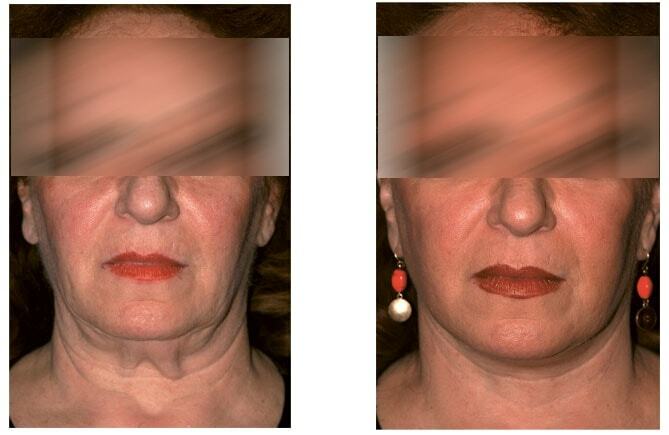 A facelift can be repeated or supplemented after 10 years. More than three operations are not recommended. 5. 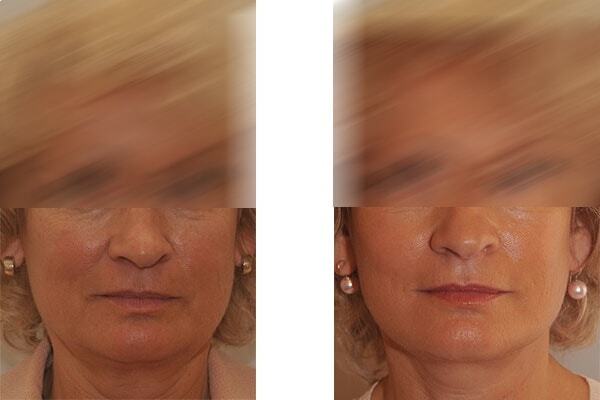 What is a mini-facelift? This refers to very limited lifting procedure with low efficiency, which has the single advantage of rapid recovery and a low complication rate. A mini facelift is appropriate only in a relatively young age (35-45 years) if there is no excess skin and the tissue is still relatively tight. 6. What can be corrected in the face? 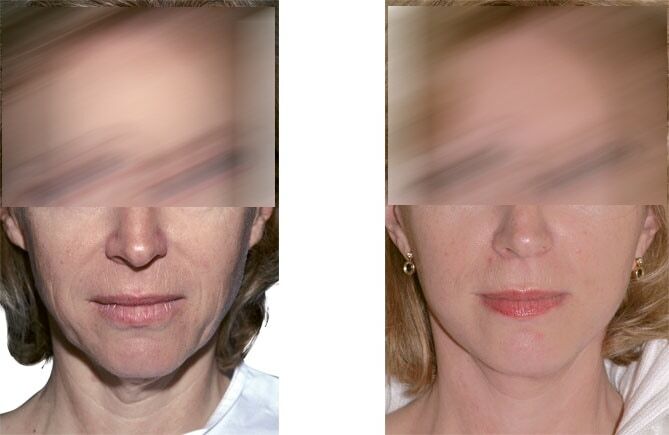 Apart from the eyes that can be improved by blepharoplasty, the forehead, mid-face, cheek, and neck can be corrected. 7. What is the mid-face? The middle face extends from the lower edge of the lower lid to the mouth and extends laterally to the zygomatic bone. 8. 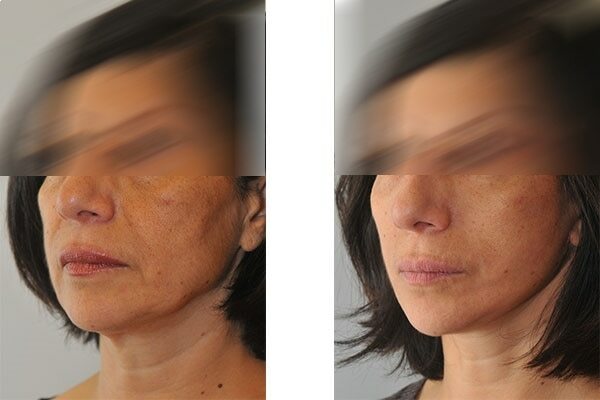 Are crow’s feet and wrinkles around the mouth also corrected with a facelift? Crow’s feet can be improved most effectively through a lateral eyebrow lift, or even with a forehead lift. Wrinkles around the mouth cannot be corrected surgically but instead by laser or peeling treatments. 9. What can be corrected with a forehead lift? 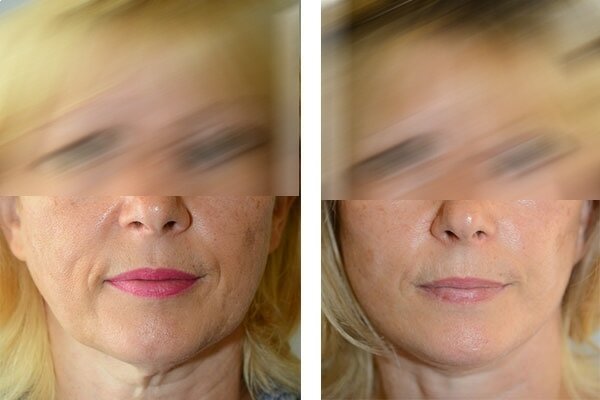 With a forehead lift, the transverse forehead wrinkles are removed and the eyebrows lifted. By raising the eyebrows you remove the “sad face” and also any existing pseudo-drooping eyelids. 10. Where is the scarring in a forehead lift? 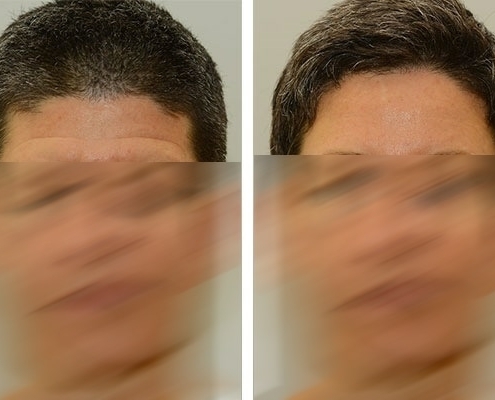 Depending on the methodology used, the scar is either completely covered in the hair area (coronal forehead lift) or along the frontal hair line (pretrichial forehead lift). Following an endoscopic brow lift a few small scars may be found in the hair area. 11. What can be corrected with a mid-face lift? 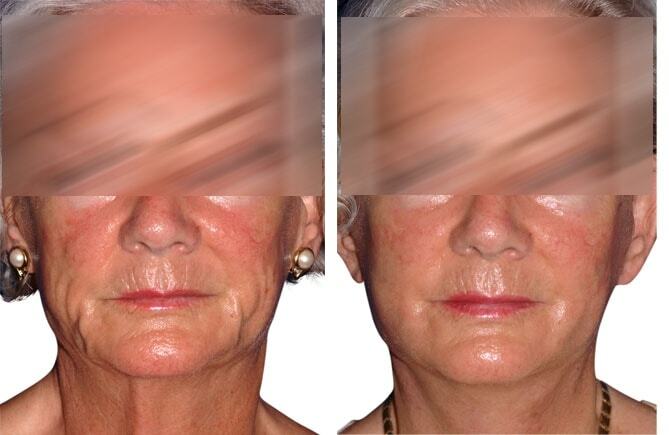 A mid-face lift corrects the nasolabial folds, tear trough deformities and dark circles. In addition flattened malar region can be “padded”. 12. 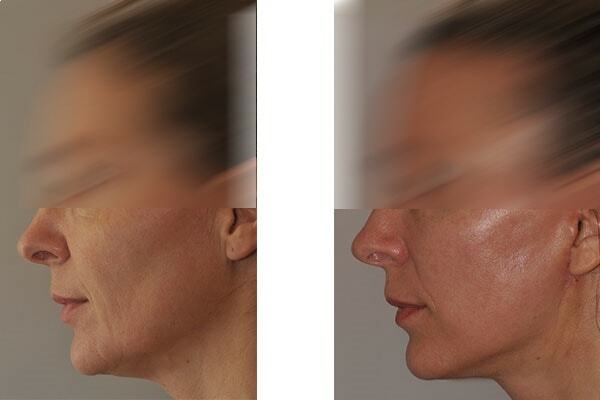 Where does scarring take place in a mid-face lift? 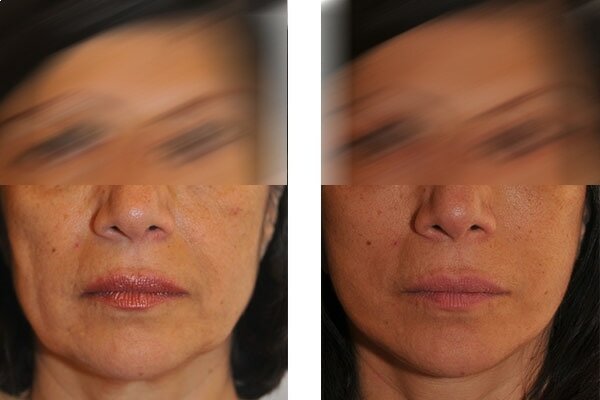 If the mid-face lift is performed as the only operation, scarring can occur in the lower eyelid just below the lashes of the lower lids just like in lower lid blepharoplasty. 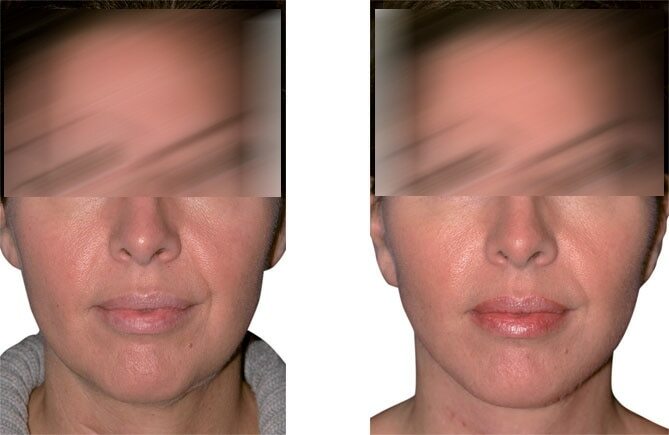 If the mid-face lift is used as a complementary measure during a cheek lift, no additional scarring occurs. 13. 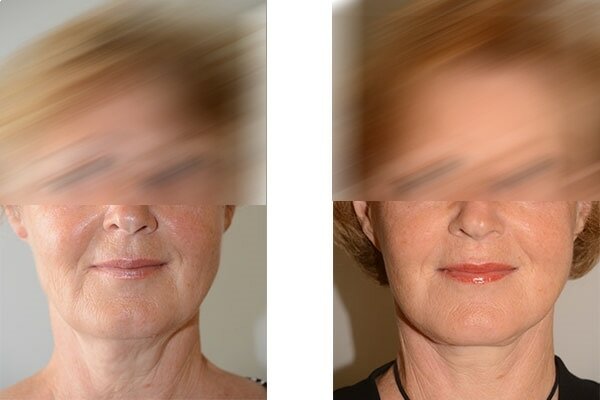 What can be corrected with a cheek lift? A cheek lift can correct chubby cheeks, eliminate wrinkles in the cheek area and correct, to a limited extent, the nasolabial folds. 14. Where does the scarring occur in a cheek lift? In the classic cheek lift, the scar runs from the hairline in the temporal region down along the ear cartilage to the earlobe, then behind the ear and back up to the hairline. 15. 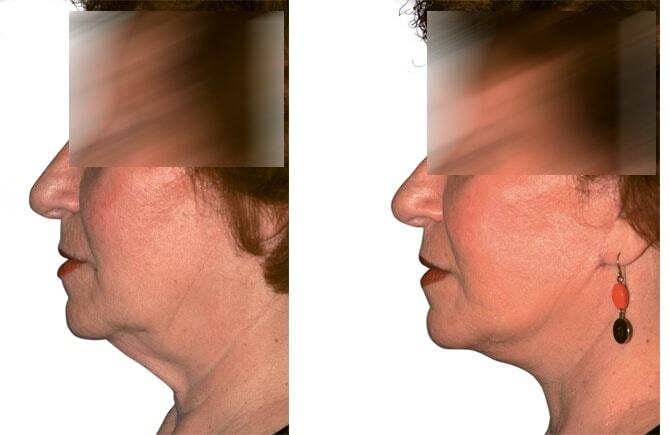 What can be corrected with a neck lift? 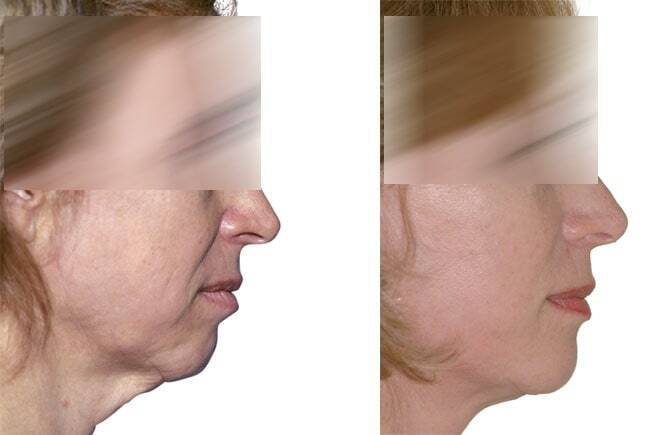 A neck lift corrects the double chin, removes the turkey neck and creates a beautiful angle between the chin and neck. 16. Where does the scarring occur in a neck lift? 17. 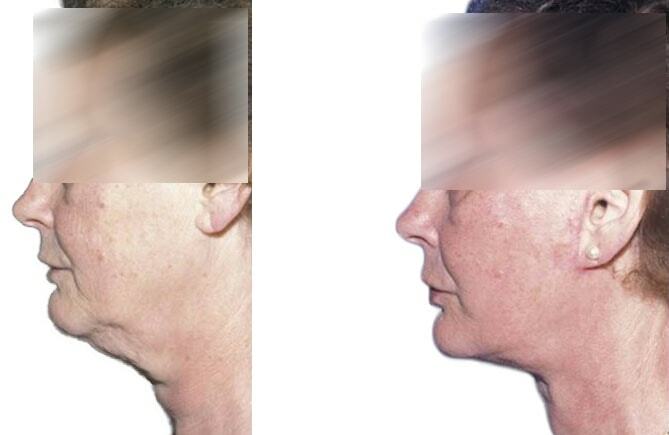 Can a double chin be corrected with liposuction? When the skin is taut and the double chin consists mainly of fat, liposuction alone can achieve very good results. 18. What can be operated on in combination? The neck and cheek are often operated together. The mid-face represents a considerable expansion of the cheek therefore a joint operation is possible, but must be well considered. The forehead lift and cheek lift represent a major extension and should not be routinely combined. 19. What complications can occur? The most common complication is secondary bleeding. More rarely poor wound healing can occur. Facial nerve injury should not occur in experienced hands. Swelling and numbness usually disappear within a few weeks. 20. How long is the hospital stay? Depending on the extent of the surgery, a one to two night hospital stay can be expected. 21. How long after the operation does the pain last? The occurrence of pain after a facelift is very rare. However, it can lead to feelings of tension, which usually subside after a few weeks. 22. As of when are you “socially acceptable” after a facelift? Depending on the extent of the surgery you should schedule 2-4 weeks recuperation time. If you purchase the Enzyklopaedia Aesthetica book “Facelifting” ( EUR 34.90 ) the first consultation is free of charge! You can purchase the book during your first visit in the ordination or order it online. The surgical preparation includes a blood test (so-called ” complete blood count “), a chest X-ray, and a surgical release by a general practitioner or internist. If you are insured in Austria and the procedure is medically indicated, there is no additional costs. The same applies to the OP-release by an internist or general practitioner, who is contracted with the usual social security institutions in Austria. In our medical center, there is an internist that the insurance considers a physician of choice. In this case, the insurance will cover about 50% of the cost. EUR 1.350 – 3.500 – depending on the duration of the surgery, number of nights and room category (single, double, etc) and hospital. In general, the procedure is performed under light sedation. In the case where a combination of procedures is being performed, general anesthesia is recommended. In both cases, an anesthesiologist is needed for surgery. The cost of the anesthesia varies depending on the duration of the operation between EUR 600-1.500, – on average EUR 800-1.200 is to be expected. Combined operations are cheaper than the sum of the individual operations, because hospital costs and anesthesia expenses are not doubled. A facelift would generally be carried out in an ISO-certified operating room in a hospital. ECG, CBC including HIV and Hepatitis A, B and C.
Please note that the test results may not be older than 10 days at the time of surgery. Please bring all the results for the procedure to the hospital. Please come 2.5 hours before the procedure on the day of surgery to the hospital and sign in at the porter. After completing the admission formalities you will be placed in your room. On request, you will receive an infusion, which reduces your thirst. Please count on a hospital stay of one to three nights. Discharge from the hospital is generally 3 days after surgery. Please do not drive yourself. Take a taxi or let someone pick you up. Further follow-up visits will take place at one, two and six months.